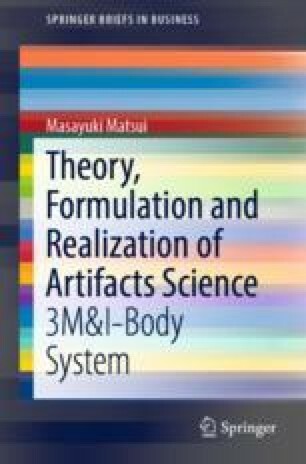 In the recent book issued from Springer Briefs in Business (2016), the author intended to unify theory with applications in the field of the study of the 3M&I-Body system. The meaning of the classical Matsui’s equation was clarified by the method of mathematical sciences. However, investigation of details of dynamism and mechanism in the system was left undone. This initial chapter prepares the introductory artifacts and its dynamism and mechanism problem, and introduces later the white-box (matrix/3D) approach to artifacts dynamism. First, the dynamism of sandwich (waist) artifacts is regarded as the clock system at the fractal-like structure. Next, the dynamism of artifacts digitalization and lot-sizing is visualized toward the sharing and harmonic society. Finally, we would outlook the world (map) of saddle-like point (equilibrium) in the industrial versus financial capitalism.